The FM1803 Furlmatic Windcharger makes generating power at remote sites possible and at an affordable cost too. 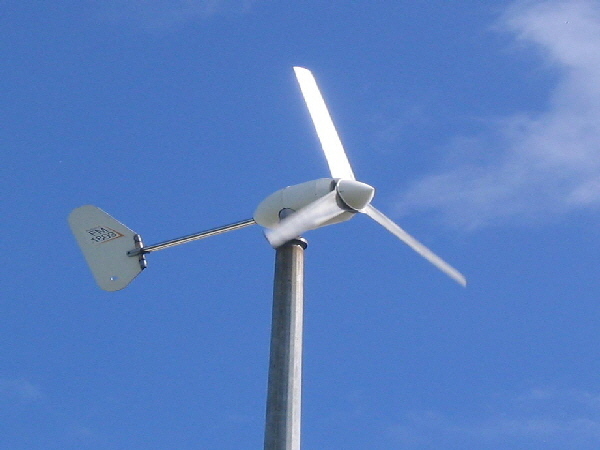 This 1.8M diameter turbine, designed for use on land is very powerful for its size and with a proven track record behind it you can rely on it too, it’s built to last. Are you living off grid? Do you need power at a remote site? Take advantage of the abundant power of the wind to generate your own free power using the Rutland FM1803 Furlmatic Windcharger. The FM1803 needs only a light breeze to start generating power for charging batteries so you have the convenience of energy stored for whenever you need it. Where grid power is not available the FM1803 provides a cost effective solution, charging batteries to deliver 12/24V power which can also be inverted to 230V AC. The FM1803 can deliver sufficient power for most daily needs with only occasional use of a generator for high energy consuming appliances, e.g. domestic washing machine. Where a generator is already used the FM1803 will soon reduce energy costs and pay for itself in convenience. Direct fuel costs and engine wear and running time will be noticeably reduced. Professionals providing services such as telecommunications and monitoring at remote locations will find using wind power immediately cost effective and long term convenient. Site visits to change batteries will be reduced and battery life extended. A clean source of energy and it saves you money! Battery life is extended as the continuous charging reduces the number of deep discharge cycles. Where generators are in use running and maintenance costs will be reduced. Battery Requirements – Deep cycle lead acid batteries either sealed or unsealed are suitable for charging from the FM1803. A minimum capacity of 400Ah @ 12V and 200Ah @ 24V is recommended.